Taking alcohol is legal in the majority of the nations around the world. However, when it comes to its production, sale and consumption, some nations prefer to put some regulating laws so that their populations can consume it responsibly. Due to this allowance of alcohol consumption, it plays a significant social role in various cultures since it is a recreational drug. This explains the drinking of alcoholic beverages in weddings, after funerals and other social functions. It seems to be something that brings people together for celebrations. In a study conducted on alcohol consumption in the United States, the results indicated that about 89% of the adults consumed it in 2015, and 56% consumed it in a single month. Every alcoholic drink that you take contains ethanol. This type of alcohol is extracted after the fermentation of fruits, grains and various other sugar sources and then mixed with other substances to form alcoholic drinks. There drinks come in three categories; spirits, beer and wine. Depending on the manufacturers, their alcohol content ranges from 3 to 50%. Alcohol is known as a psychoactive drug because it is a depressant that causes various effects on you upon consumption. Additionally, if you consume it for a lengthy period of time, you may end up abusing it, developing alcohol dependence or becoming an alcoholic. As a result, men are advised to consume about 2 drinks a day, while women should only take 1. Alcohol addiction does not begin instantly. Instead, it is a process that begins slowly and develops with time, depending on the amounts of alcohol that you consume, plus the frequency. As you begin to consume alcohol for recreational purposes, you tend to consume little amounts since your body is still vulnerable to its effects. With time, your body adapts to the introduction of alcohol in your system, leading you to consume larger amounts. If you consume high amounts of the substance often, your body builds a tolerance with time, causing you to continuously increase your intake. After a while, you will want to take alcohol on a more frequent basis, especially if you are evading some life challenges or issues. 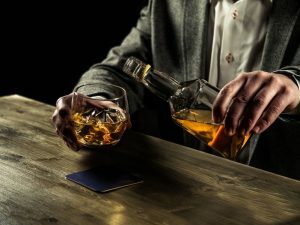 If you are not careful, you may become dependent on alcohol, to the point that you want to carry out most of your activities under the influence. At this point, it is highly likely that you will lose control and land in alcoholism. As soon as you begin alcoholism, you can hardly manage your drinking habits. 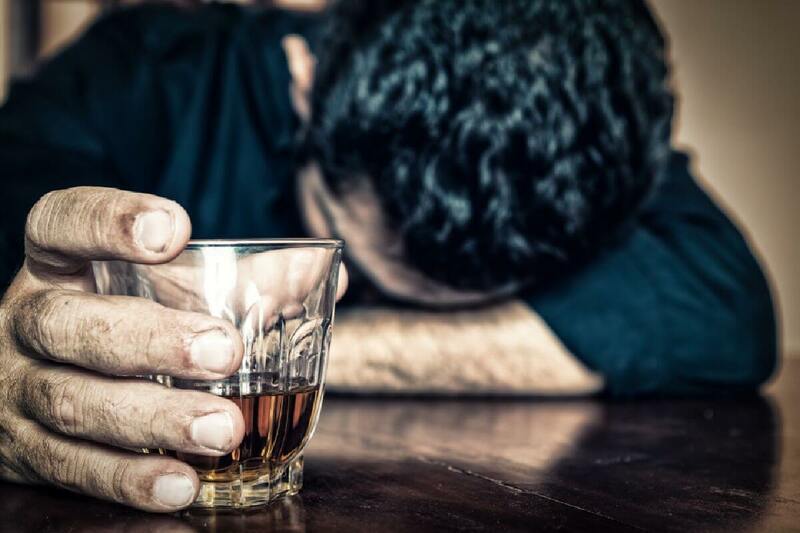 This alcohol use disorder can either be mild, severe or moderate. Each of these categories has serious symptoms that could later result to harmful side effects. You may begin and continuously consume alcohol for multiple reasons. As you begin, it appears as just a way to escape your issues. Unfortunately, this habit later results into alcohol abuse. The following are some of the reasons behind the development of drinking habits. > Stress– stress in normal in the life of every human being. However, how you deal with it could determine the outcome of a lot of things. If you rely on alcohol to relieve your stress you are likely to develop a drinking problem since stress occurs from time to time. > Loss – not everyone accepts the loss of a loved one instantly. Denial makes the situation worse because you will often rely on alcohol whenever reality of the loss hits you. This is a remedy to the development of a drinking problem. > Excitement – during social events like weddings, you tend to be excited and happy. Since you do not want that happiness to end, you may turn to alcohol since it increases the pleasure feelings. > Anxiety – you may be the type of person that is always anxious around people or less confident. Since alcohol is known to cause relaxation, you are likely to consume it. However, continuation of this habit will eventually cause a drinking problem. At times, you do not have to become an alcoholic for you to realize that you have a drinking problem. There are so many signs that can help recognize the problem before it becomes worse. Most of the people that recognize these signs have self-awareness and defined goals, but probably get carried away due to bad company or situations. Therefore, the following signs can help you if you are not too deep into drinking, but could land there if you do not take action. • If you often have some temporary short-term memory loss or experience blackouts, it means that you have a drinking problem that causes you to take too much alcohol thus causing a high blood alcohol concentration. • You may have extreme mood swings and irritability signs. • You tend to prefer drinking alone rather than with friends. • You create excuses to give for drinking or often lie about it. • You forego obligations and responsibilities and prefer to drink. • You have health problems related to the intake of alcohol. • You have school and work problems such as lateness, punctuality and demotions, among others. • Your behaviors while under the influence such as driving while drunk have often caused you legal issues. • You like isolating yourself from friends and family members. If your drinking problem has gone beyond the above signs, then it is possible that you are an alcoholic. The following signs can help you analyze yourself in deeper lengths. The consumption of alcohol has different effects on your body. These effects are dependent on the levels of alcohol concentrations in your body, the alcohol amounts you consume, the alcohol percentage in your drinks, consumption time span, the food amount you have consumed and if you are taking any other drugs. Blood alcohol concentration of 0.03 to 0.12 % results to effects such as; euphoria, overall mood improvement, decreased anxiety, fine muscle coordination, increased self-confidence and sociability and impaired judgment. BAC of 0.09 – 0.25% results to blurred vision, lethargy, balance issues and sedation. Blood alcohol concentration of 0.18 to 0.30% is known to cause impaired speech, dizziness, staggering, profound confusion and confusion. BAC of 0.25 to 0.40% results to respiratory depression, unconsciousness, stupor, vomiting, which can cause death if you inhale the substances, and anterograde amnesia. Blood alcohol concentration of 0.35 to 0.80% may cause fatal alcohol poisoning, coma, respiratory depression that is quite life threatening. Other effects include; lowered inhibitions, slow reaction time, restlessness, reduced brain activity, poor reflexes and breathing difficulties. The long-term consequences for long term abuse of alcohol may not surface as soon as they begin. They tend to stay dormant for even years and later surface even after you have managed to quit drinking without medication. Due to this reason, admission in a rehab center entails thorough diagnosis to determine the presence of any health issues. They include; vision damage, diabetes complications, liver disease, and heart problems such as stroke, high blood pressure and heart disease. Additionally you could suffer from brain defects like Wernicke-Korsakoff syndrome, bone loss and cancers like pancreatic cancer, female breast, esophagus, liver and oral cavity cancers. If you have a drinking problem, mild or severe, you are also bound to experience life challenges. For example, spending a lot on alcohol jeopardizes your chances of achieving financial as well as personal growth. You may pay your bills late since you opted to drink rather than pay the bills on time. Your work or school life will also be affected due to issues like lateness, poor performance and bad productivity. Consequently, you could miss a scholarship to a good college or get expelled or get demoted or fired. Your relationships as well will suffer. Due to drunkenness, you may become violent leading to domestic violence or end up disrespecting your friends. If caught driving while drunk, you will obviously face some charges in court. Such legal issues will affect your finances and work too. Additional, drunken driving is a known cause for deaths on the roads. If not due to road accidents, you could be among the three million people who die prematurely each year due to excessive alcohol consumption. Furthermore, this substance does reduce your life span. Quitting the consumption of alcohol is quite a challenge. You are bound to experience some denial despite acknowledging the signs, and reason that it is not that bad. But then again you later find yourself wondering if you are an alcoholic. More challenges occur in maintaining your sobriety. 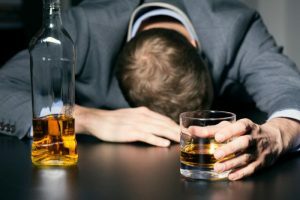 If you find yourself in this dilemma or find that you have severe signs of a drinking problem, it is time that you take action for the sake of your future. 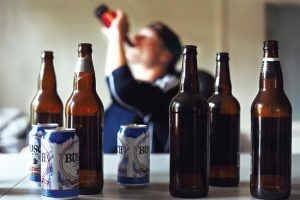 These tips of stopping alcohol consumption will probably work depending on the level of your abuse, dependency or alcoholism. Nevertheless, they are all worth trying because staying sober is worth. > Is drinking alcohol derailing your growth and preventing you from achieving your goals? If yes, then you have begun accepting facts in your life. > Is this the life you want in about 5 to 10 years to come? If no, then it means that you really want to quit because you know your future could be better. If you consistently ask these questions, it will finally hit you that you need to act on your current drinking trends. The most known reasons for not taking alcohol is acquiring good health and living a good life. However, these are long-term reasons. What about the short term reasons that will encourage you to avoid the alcohol thoughts at any given moment? > You will reclaim the lost time -let us assume you are a moderate drinker. You will probably drink three times a week, which is about 3 hours every time. So in a year, you will have lost almost two months on drinking, without counting the time you spend with a hangover. This is time you could spend productively when sober. > Get richer faster – from the above assumption, imagine how much you could earn from the lost time. Additionally, if you spend 150 dollars on alcohol every week, you tend to waste 600 dollars a month. That is money you could invest. > Acquire meaningful tasks – conversations made while drunk hardly build any solid friendship. So get sober so that you can create a network of friends that can benefit you socially. > Sleep better- as alcohol causes tiredness; it disrupts your sleep patterns. Consequently, it throws off the balance of your body. On the other hand, staying sober guarantees you better quality sleep. The food you consume influences the behavior of your brain, which is prone to develop alcohol cravings if the diet is wrong. Therefore, it is important to eat foods that keep blood sugar stable since your decision making becomes better. Consumption of starchy and sugary foods could lead to energy crashes due to drops in blood sugar. This causes food cravings as well as any other substance that can make you feel better including alcohol. So consume healthy high quality fats to maintain the blood sugar levels. Paying attention to your actions can help you assess your impulse to drink before you act. Therefore, mindfulness keeps you in control of your brain. To acquire mindfulness, you can meditate for a few minutes on a daily basis to raise your awareness and strengthen the pre-frontal cortex of your brain. Notably, its weakness is linked to addiction. Stress is normal. However, lack of its proper management can lead you down the wrong path. When you are under stress, resisting impulses becomes very difficult. So keep your stress levels as low as possible through yoga, meditation, breathing exercises and physical exercises. Since you are on a journey towards sobriety, you should as well make it the first priority in your life. A partial commitment will cause you to fail because you will be unable to say no to any event that could lead to drinking. Instead, set some rules and ensure that you do not break them. There are those friends that you only meet in the drinking zone. They have your contacts and will often call you for one or two drinks. You need to fire these pals for you to quit drinking. The rest whom you share meaningful relationships need to respect your refusal to drink and not pressure you. If not, say good bye to them as well. Your life comes first. You need to tell those you care about that you are on a path to sobriety. With this announcement, you will strive to be accountable. Additionally, they will exclude you in their plans of going out for drinks since they understand that you are not interested. As you let your loved ones know about you choice, build a support system that will help you stay sober. These are mostly the individuals who support and respect your decision, and are ready to hold you accountable if you tend to relapse. Your attitude towards anything in life dictates what your actions will be. Therefore, adapt a positive attitude regardless of the things you did while under the influence of alcohol. Most of all, avoid people that bring any kind of negativity around regarding your choice. Triggers are the most causes of drinking or relapse. So you need to identify the things that pushed you into temptations. Is it alcohol kept at home? Is it a bar near your house? Is it a restaurant that you like that sells alcohol? Whatever it is, you need to find a way around them. While doing this, it is advisable to find alternative activities that will keep you occupied and thus hardly realize the temptations. You can find new interests, hobbies and activities that are beneficial to you or others. You can program your brain to expect a reward whenever you do something for yourself. So begin by setting short term goals like avoiding alcohol for a week. If you succeed, do something that yourself like, probably buy yourself a new cloth with the same money you could have spent on alcohol. By doing this, you will improve your life, especially where you had neglected before and stay sober at the same time. As you make higher goals, make your rewards more beneficial to you. If you have tried all the above tips but failed, then you actually need professional help. This includes going to rehab to get the required treatment. Rehabilitation is mostly for persons that have already developed alcoholism since quitting their addiction is quite a hard task. The majority of the alcoholics that have tried quitting alone have relapsed. If you are among such people, it means that you need alcohol treatment for you to sober up again. This treatment takes place in three stages. As soon as you get admitted in the rehab center, treatment starts with stopping alcohol consumption. This period is tough since you must stay without consuming alcohol and you are prone to experience some withdrawal symptoms. These symptoms include; sweating, confusion, anxiety, depression, hallucinations, mood problems, seizures and shakiness. Luckily, the doctors may give you some medication to ease your pain. In this phase, you get to confront the reasons behind the heavy consumption of alcohol and identify your triggers. If you suffer from depression, you get therapy to get your mind back on track. Counseling is also available to let out your feelings and regrets so that you can feel burden free. As soon as you are done with rehabilitation, you go back to your society to begin a new life in sobriety. This stage is quite tough as well because you have to be strong for your own good. To make your path easier, there are support groups, recovery resources and counseling that keep you on your sobriety path for months and years. After managing to quit alcohol for a while, you will notice a change in your body. First, you will sleep better since your brain is not intoxicated. Also, you will lose the unnecessary fat, since your exercises will get rid of the fat from the alcohol calories. Your skin will also look much better as your water regulation in the body will return to normal. In conclusion, despite that alcohol is allowed in most places around the world, it does not mean that it is that good for you. Actually, those that do not drink are advised not to bother since they are better without it. Since it is your responsibility to take care of your body, consider all the above and strive to quit alcohol, especially if you have a drinking problem.